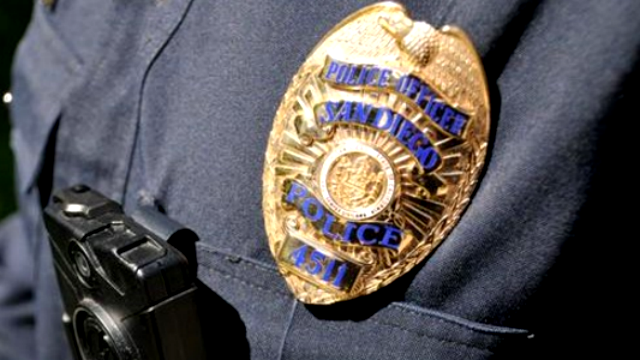 A badge from an SDPD officer. Photo Credit: SDPD. A woman was stabbed by her dog sitter Wednesday in Colinas Del Sol, police said. The incident happened around 1:50 p.m. in the 4300 block of 52nd Street following an argument between the two women, San Diego police Officer Steve Bourasa said. The 59-year-old victim was walking away from the home when the 58-year-old suspect stabbed the victim in the left bicep with a six-inch steak knife, he said. Anyone with information about the incident was asked to call the San Diego Police Department or Crime Stoppers at (888) 580-8477.